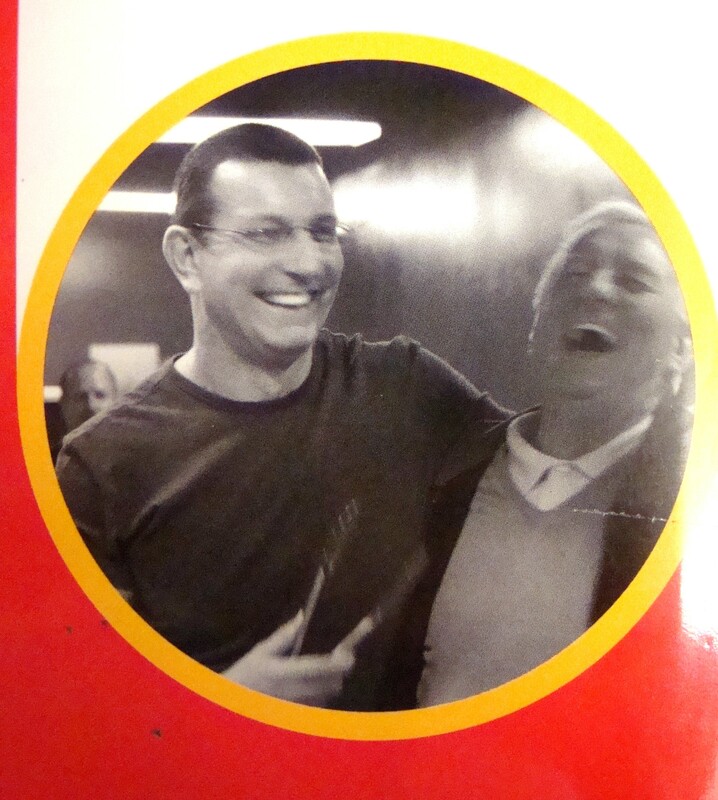 ← A Vintage Cookbookery Mystery: Will the “Cookbook Queen” meet Chef Robert Irvine? Well, in Albuquerque, the dust has settled, the crew has presumably wrapped up and left and the owners of “Shade Tree Customs & Cafe” restaurant have a brand-spanking new place. On Tuesday, I was one of numerous volunteers to assist in the wrecking and restoration process, to be aired on “Restaurant Impossible” early next year, hosted by Chef Robert Irvine. It was an enlightening day, but not an inspiring day. I briefly met Chef Irvine’s Designer, Taniya Nayak, a lovely lady with a gracious and outgoing personality, who just lights up her surroundings. I helped his builder, Tom Bury, tear up pieces of particleboard from an old stage in the corner of the restaurant. My earlier post of October 18th was titled: A Vintage Cookbookery Mystery: Will the Cookbook Queen meet Chef Robert Irvine? Well, readers, the mystery is solved: she did, sort of. In the midst of the chaos inside the restaurant on the first morning, and it was chaotic, I mustered up my courage and plunged right in. Mr. Irvine, after flying all over the room had come to rest just a foot in front of and beside me. “Chef Irvine?”, said this timid little voice, trying to be heard above the din. “You’re doing a great job” the voice continued. Who said that? Was that my voice? 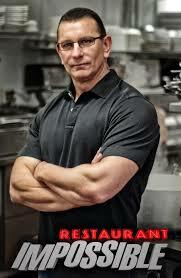 Did I really say to the master of “Restaurant Impossible”, the untouchable, “You’re doing a great job”. He gave a quick glance over his right shoulder and said “Thanks”, but his demeanor and the expression on his face resembled the look I’ve seen him demonstrate on some episodes of “Restaurant Impossible”, when he has scraped off some stinky, slimy black mold from an ice machine, or found rotting chicken parts swimming in putrid water in a back room. I was horrified. I had clearly transgressed. I had violated what must be an unspeakable taboo. I had approached him and spoken to him! Clearly, this was as unforgivable as stumbling into “the tent on the right”, which, upon my arrival, I had been warned NOT to do. It was where Chef Irvine and members of his crew resided during the day. I shuddered, regained my composure and tried to blend in with the bevy of minions around me, skulking off with my tail between my legs. There is much more I could say about my experience, including the myriad tasks I threw myself into with abandon, which included helping to assemble a workbench, sanding and painting bar stools, sweeping, pulling plugs out of the walls, dismantling a wood stage, but perhaps I’ll save that for another time. At the moment, I’m attempting to live down my gaffe of speaking to Chef Irvine. The Cookbook Queen, alas, did not really “meet” Chef Irvine. Too bad. I was going to invite him over for a look/see of the Vintage Cookbookery collection. Well, his loss. 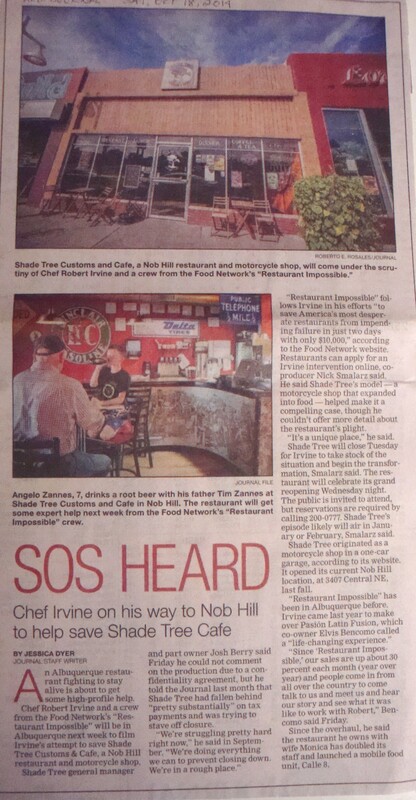 Would I volunteer for “Restaurant Impossible” again, should they revisit Albuquerque? In a word, NO! Photo by Ben Fink of Chef Irvine from the book “Impossible to Easy”, by Chef Robert Irvine. See how he is smiling and chatting with the gentleman? This entry was posted in Cookbooks, Cooking, Cooking and Social History, Cooking Technology, Food Trends, Restaurant Menus, Restaurant Renovations, Uncategorized and tagged "Restaurant Impossible", Albuquerque, Chef Robert Irvine, cookbooks, Cooking, New Mexico, Restaurant renovations, Shade Tree Customs & Cafe, Southwest, Sue Jimenez, Taniya Nayak, Tom Bury. Bookmark the permalink.